Gladys England “Nanny G” – Age 77, passed away Monday, March 27, 2017, at her residence in West Nashville. She is preceded in death by her husband, Jimmy England; her daughter, Naomi Ingram. 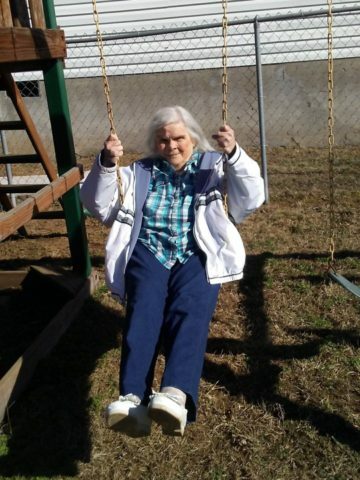 She is survived by her children, Vivian Ingram; Darlene (Billy) Moore, Fay (Danny) McKay, Jessie (Vonzella) Ingram, and Abie William Ingram; 10 grandchildren, 16 great grandchildren, and 1 great great grandchild; her brothers, Jimmy Odle, David Odle, and Clarance Odle; and her beloved furry friend, Ringo. A Celebration of Life will be on Thursday, March 30, 2017, at 11:00am, at West Harpeth Funeral Home. Interment will follow at Everrest of Cheatham Cemetery in Pleasant View, TN. Friends will serve as pallbearers. Visitation with the family will be on Wednesday from 12:00pm until 8:00pm, and on Thursday from 9:00am until the service time at 11:00am at West Harpeth Funeral Home.